We can get vibes of every culture and places in our country, isn’t that amazing?? Here I am mentioning one place that will give you French vibes and Portuguese feeling. 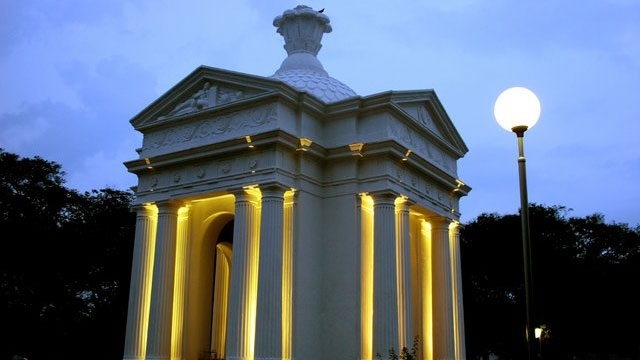 It is Puducherry also known as Pondicherry, the capital city of The Union Territory of Puducherry and is one of the most popular tourist destinations in South India. 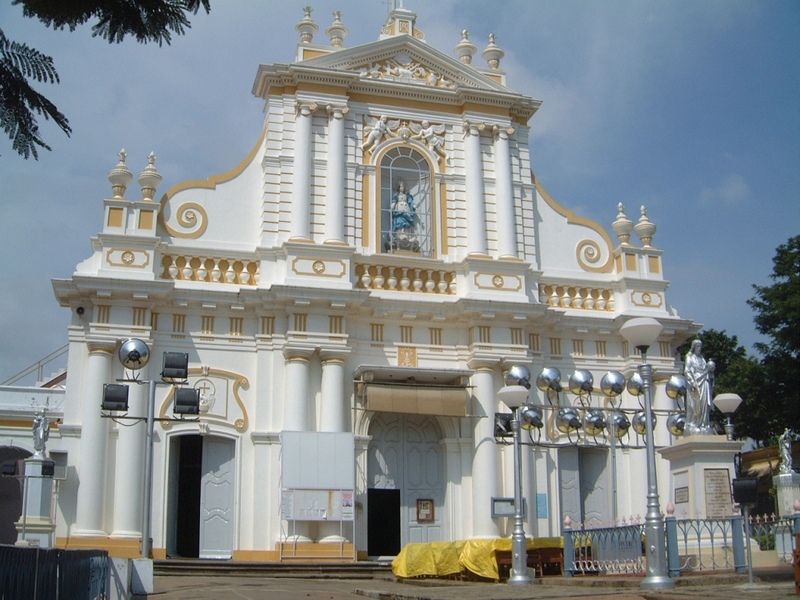 Welcome to The Europe of India, a French colony until 1954, a complete blend of colonial buildings, churches, statues, and systematic town planning, as well as urban architecture of the local Tamil style. Pondicherry is a popular weekend destination because of lower taxation on alcoholic beverages which makes boozing in the Union Territory enclave much less expensive than in neighboring states. You can figure out how to go there since it is very famous place; so I will focus on a few other things! A symbol of peace and unity, the city of dawn, it is a township designed by a French architect. It is a universal town where people of all countries live in peace and with only religion humanity. It includes communities like with English, Sanskrit, French and Tamil names like Aspiration, Arati, La Ferme, and Isaiambalam. 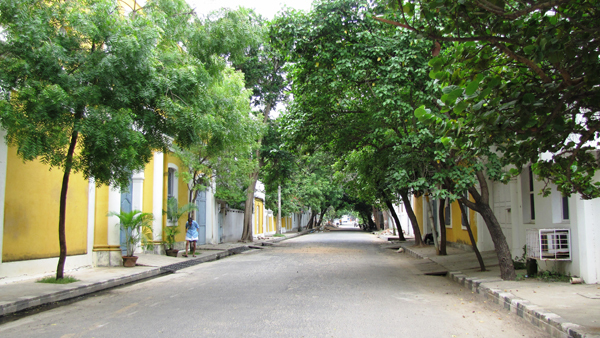 Situated 8 km north-west to Pondichery, the city has a population of 2007 coming from 44 nationalities. 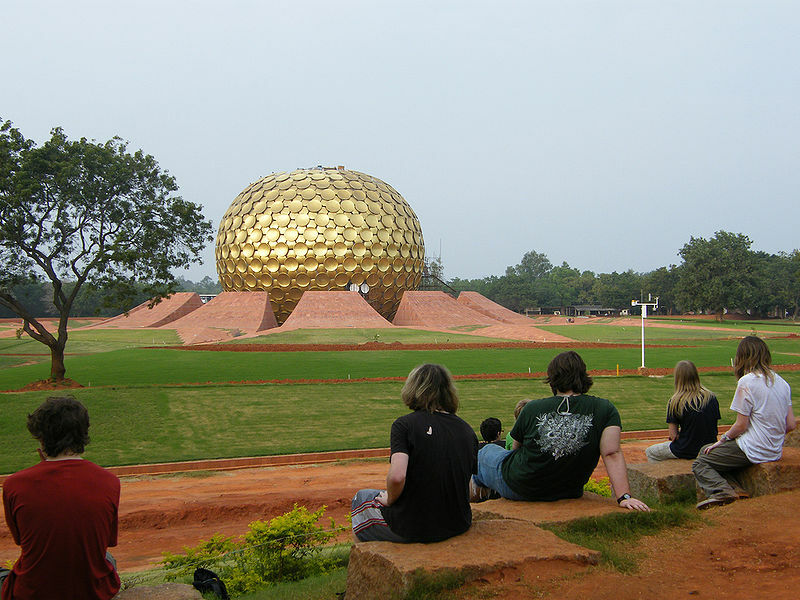 It is scenic place; the Matrimandir, a metallic globe in the middle of the town looks great. 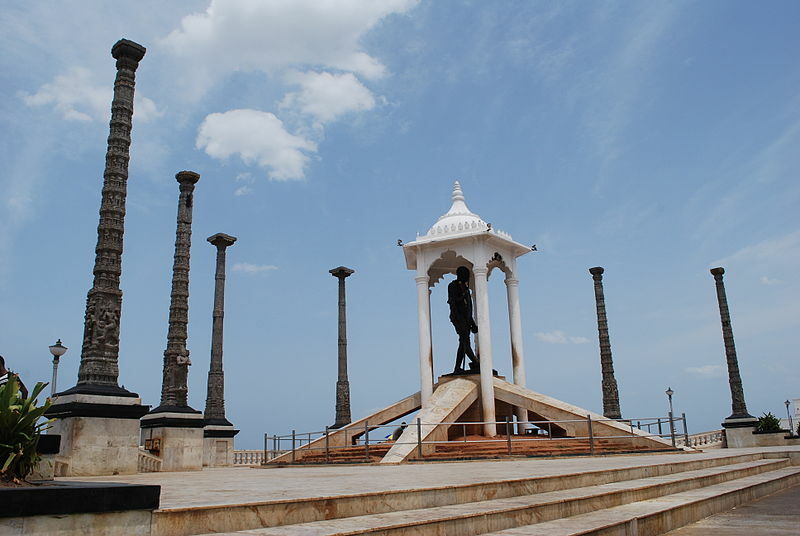 The Mahatma Gandhi statue is surrounded by 4 granite pillars. A statue of the heroic French damsel Joan of Arc, established in 1923 is located in front of the Church of Our Lady of the Angles. The statue is placed in the middle of a garden. It is situated at Dumas Street. 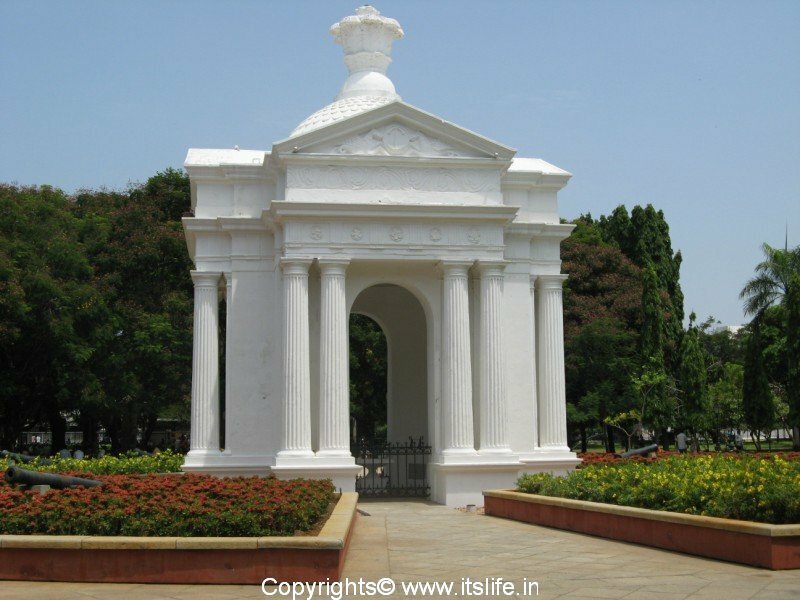 A white monument (Aayi Mandapam) built during the time of Nepoleon III, French emperor is situated in the center of Bharathi Park. Go back in time! Visit Pondicherry Museum, it has a gallery with sculptures and has the remains of archaeological findings from the Arikamedu Roman settlement. The museum also has a collection of rare bronzes and stone sculptures from the Pallava and Chola dynasties and artifacts excavated from Arikamedu (an ancient port just 7 km from the city that had trade links with the Roman emperors). Feel the past of the French period with paintings, porcelain, carriages and rare stuffs from the 18th century. 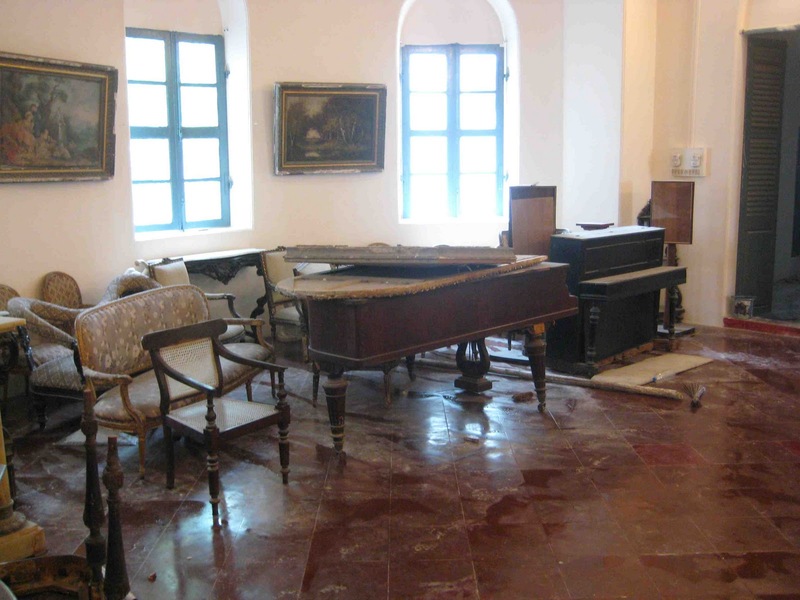 It has furnitures and stuffs belonged to governors, princes and French kingdom. 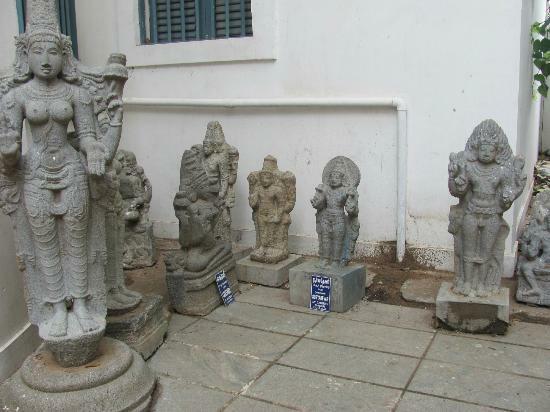 If you are fond of ancient poetry and literature, The Bharathidasan Museum, on No. 95 Perumal Koil Street is the place for you; former house of poet and playeriter Bharathidasan, it is a nice place to visit. One more place, Jawahar Toy Museum, located next to the old lighthouse on Goubert Avenue. Having collection of 120+ dolls, dressed in costumes from different Indian states. It also features a little “fairyland” that every child will die to see. 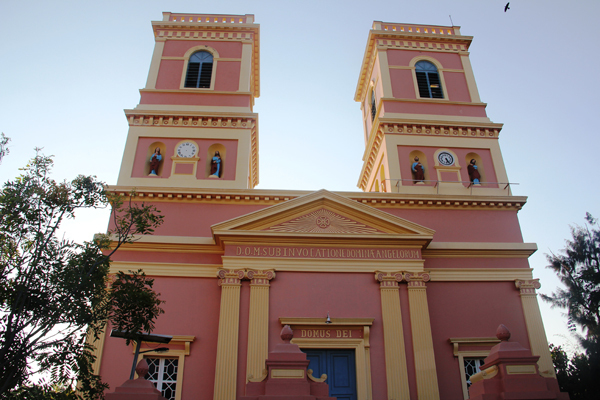 Pondicherry has got a huge heritage and cultural mélange from all over the world. It has a number of parks like Ousteri Wetland and National Park, Ousteri Lake is located towards north at a distance of 10 km from Pondicherry is mainly a bird sanctuary. Located in the central region of old colonial town, Bharathi Park is surrounded by some of the most important government buildings, like the Lt. Governor’s Palace, the Legislative Assembly, Government Hospital, Ashram Dining Room, the Cercle de Pondichéry private club, and the old Hotel Qualité. Love to see different gothic Temples Churches and Mosques? This is your destination. Sri Manakula Vinayagar Temple is here since 1666 before the arrival of the French. Varadaraja Perumal Temple, dating back to 600 AD is the oldest temple in the town. You can have the blend of Tamilian and Hindu culture in Kanniga Parameswari Temple. The inner ceiling and the sanctum sanctoram, having a typical Tamil design, highlights the more traditional Tamil features. It is totally different from the other temples in the south India. Basilica of the Sacred Heart of Jesus, a catholic church, situated on the south boulevard, describes events from the life of Christ. The Eglise de Notre Dame des Anges (The Church of Our Lady of Angels), in Rue Dumas, is notable for its masonry. It is modeled on the Basilica at Lourdes, in southern France. The interior design has eight barrel vaults and a central dome with eight circular openings. Meeran mosque is the oldest mosque in Pondicherry, built over 350 years ago reflecting the old gothic Islam architecture in it. Kuthbha, the first mosque in Pondicherry is from the 17th century. Here you will find four most popular beaches the Promenade, Serenity Beach, Auroville Beach and Paradise Beach. The assembly building and historical architecture alongside the cost looks simply amazing. The lighthouse and statues situated alongside are mesmerizing. It is a scenic place. People say Pondicherry is the heaven of shopping. Shop on a crowded Mission Street and visit the funky boutique Casablanca, filled with, pottery, jewelry and exquisite linens. Chocola, a place features tasty and delicious handmade chocolates and pastries. Amethyst, a shop with famed jewelries and cloths shop also well known for its delightful coffee. Enjoy this small French town on the south west coast of India, just two hours from Chennai. 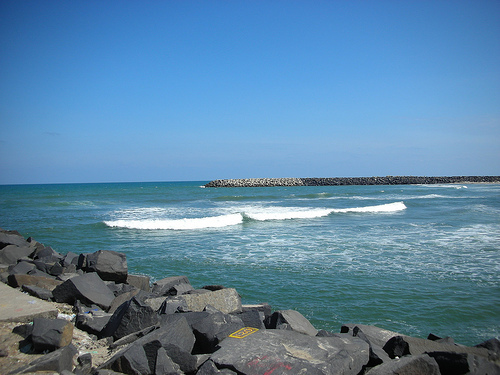 The slogan of Pondicherry Tourism says “Give time a break”. Discover scenic beauty, its heritage and culture. Be here once!